We offer 6 different wooden veneer coffins, all of which are suitable for either burial or cremation. 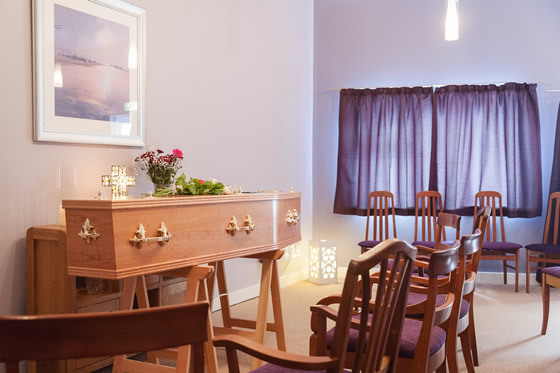 We can also offer willow, wicker or cardboard coffins should you have any specific requirements. A light wood veneered coffin. Lined in white and with a white gown. Fitted with Brass coloured fittings. A light wood veneered coffin. Lined in white and with a white gown. Fitted with Nickel coloured fittings. A traditional Oak veneered coffin, with raised lid. Lined in white with a white gown. Fitted with Brass coloured fittings. A traditional Oak veneered coffin, with raised lid. Lined in white with a white gown. Fitted with Nickel coloured fittings. A Mahogany veneered coffin, with raised lid. Lined in white with a white gown. Fitted with Brass coloured fittings. A Mahogany veneered coffin, with raised lid. Lined in white with a white gown. Fitted with Nickel coloured fittings.